This gong has an amazingly distinctive form and an incredible patina. 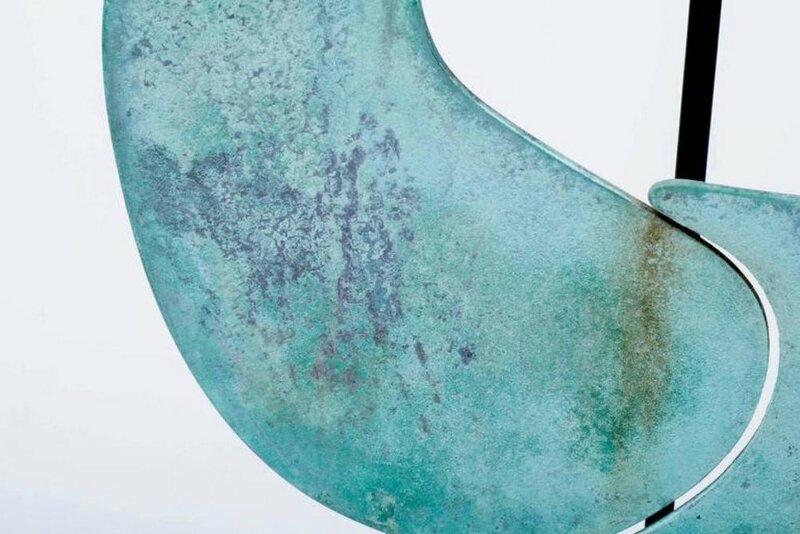 It is a smaller scale than the Classic solid bronze gongs he created. It comes with a Stand and mallet of appropriate scale.